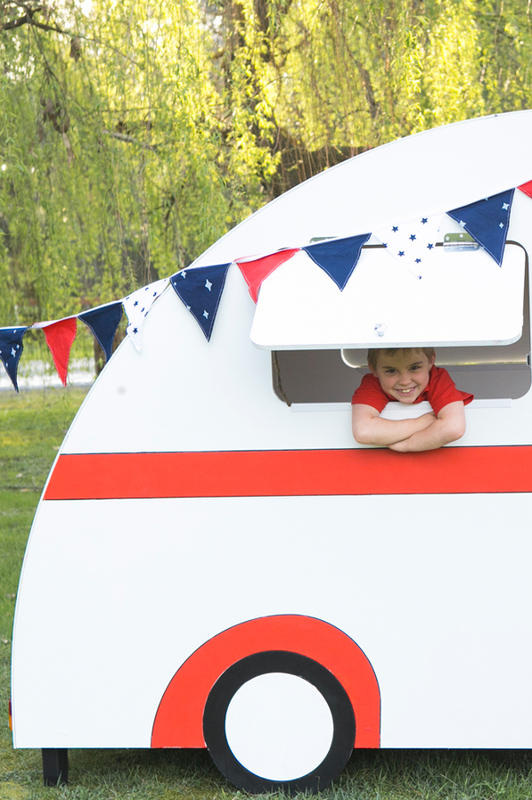 Is there a child on earth who wouldn’t like a cubby as deliciously cool as a Caravan Cubby? These retro cubbies are so much fun, even mums and dads will want to give their friends a guided tour. 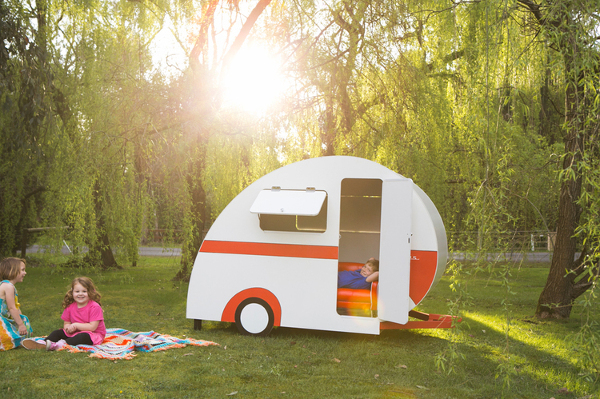 Modeled on the 1950 tear-drop caravan, Caravan Cubbies are built by Melbourne father-of-four Kim Polglaze. Kim was inspired to convert a caravan to a cubby after spotting a vintage caravan for sale by the side of the road. But it was too expensive, so he set about making a caravan cubby from scratch. The result was such a hit with the kids, Kim and wife Amy decided to set up their own business. I’m sure there’s quite a few of you who will be glad they did. Caravan Cubbies are made from 100% recyclable PVC, so they are durable and made to last. The cubbies come in red, pink, blue and a limited edition orange. Inside, they are kitted out with a very retro black and white checked vinyl floor and a built-in bench seat. For safety’s sake, the windows and door come installed with a slow-release opening and closing mechanism. The cubbies come flat-packed with easy video instructions. They also come already painted, so are ready for action as soon as assembled. Caravan Cubbies cost $1995. Delivery charges vary between states and pick-up is available from Melbourne. 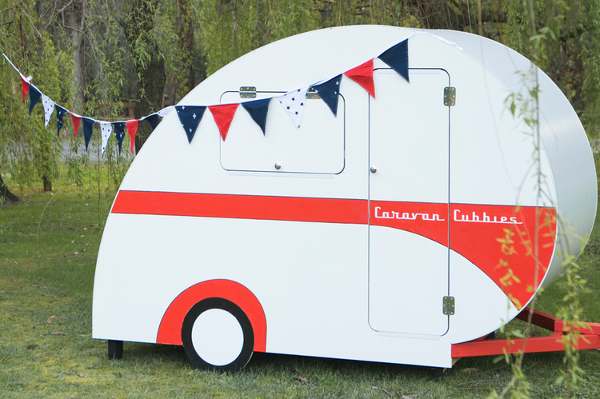 Visit Caravan Cubbies for more information. 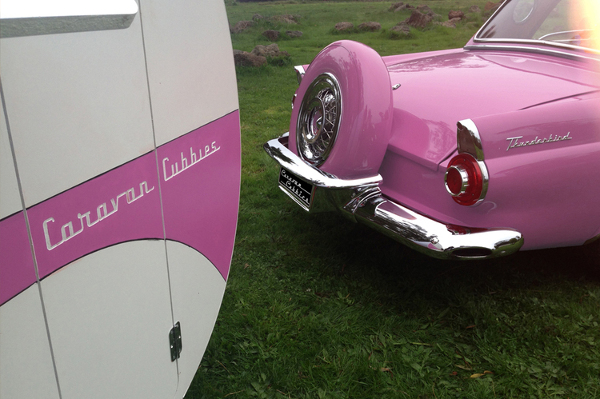 Want more retro-licious caravan love? Check our previous post on all sorts of cool caravan things.